To combine epic sounds with doom metal is no easy task. 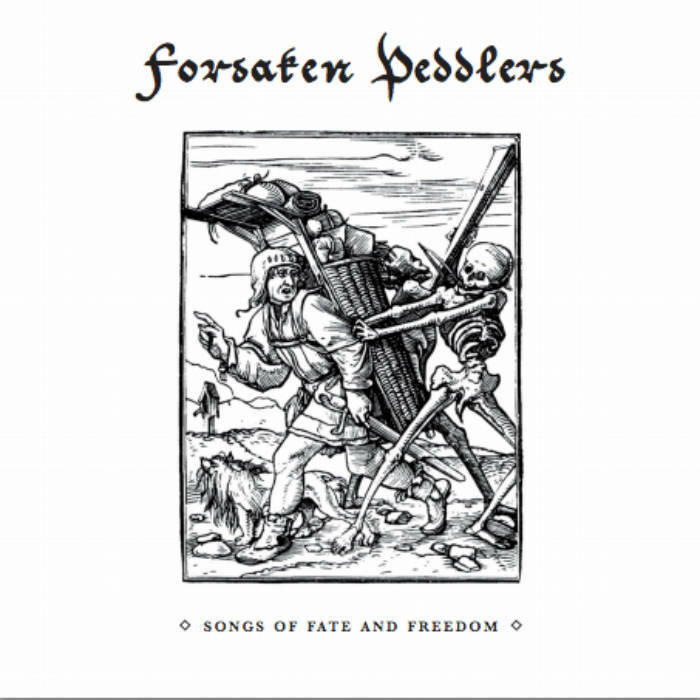 The dichotomy of strong, powerful vocals and the depressing, downtuned guitarwork of doom metal provide an interesting listen and Forsaken Peddlers seems to have pulled that off pretty well. Their latest release; Songs of Fate and Freedom, while not groundbreaking, still provides an enjoyable listen to those who want their doom a little less doom-y but still maintaining that crunchy, low instrumental sound which is what really defines the epic doom sound. The contrast between the mid-high range vocals and the lower instrumentals is what immediately caught me. It is outside of my usual comfort zone with doom metal since I tend to enjoy more stoner or funeral doom bands but this change of pace is definitely worth checking out if you have similar tastes. It's fast enough to keep you from getting bored but just slow enough to give you that feeling of dread and melancholy. That's the biggest draw to Forsaken Peddlers for me; the duality of the sounds they produce. 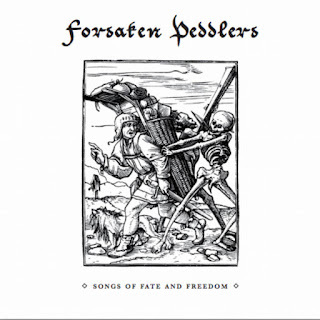 To conclude, Songs of Fate and Freedom definitely captured my attention and while it's nothing masterful, it's certainly intriguing enough to satisfy fans of both epic/folk metal and doom metal fans alike and I welcome the sound that they Forsaken Peddlers have achieved.